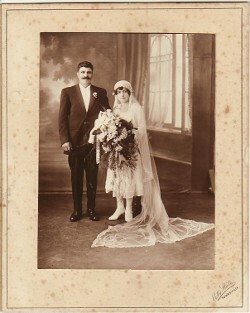 Above: My parents, Neoklis and Maria, on their wedding day. 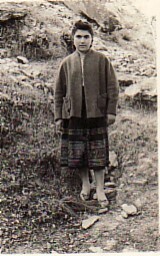 Above Right: A photograph of me as a young girl. 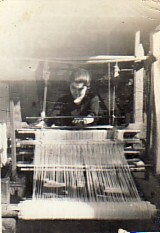 Above: Working on our family's argalio. 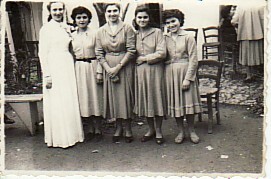 Above Right: With my sisters on Eleni's wedding day. L-R: Eleni, Calypso, Adrianna, Evdoxia and me. Above: Ayr, North Queensland, 1963. 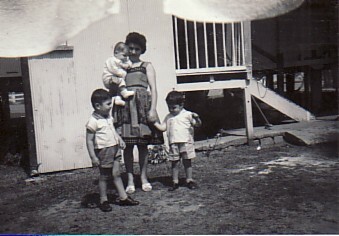 With my sister Adrianna's children, Dimitrios, Panagiotis and Nikolaos. Above Right: Hyde Park, Sydney, 1963. 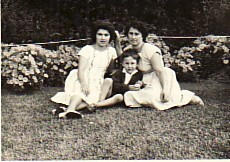 With Stella Kouvangeli and her son, Panagiotis. 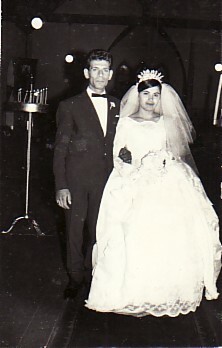 Above: With my husband, Petros Gavanas, on our wedding day. 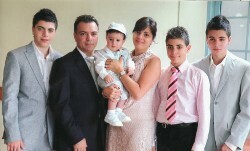 Above Right: With my husband, Petros, and our two children, Elli and Georgios. 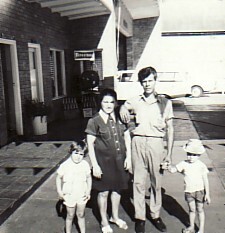 The photograph was taken in Ayr, North Queensland, where we ran a Golden Fleece service station for three years. 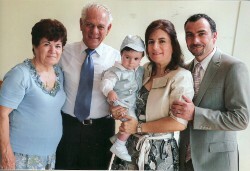 Above: At my grandson Zachary's baptism: with my husband, Petros, Amanthia; my daughter, Elli- who is holding my grandson, Zachary; and my son-in-law, Kostas.